Thanks to our design based on teleworking without any geographical dependency, we can call on the best talents. Our regulatory team is driven by the desire to work together on ambitious projects and give their best. Collaboration with multinationals, medium-sized and small plant protection companies in a variety of sectors (agriculture, non-crop areas, home & garden, etc. ), technical coordinators for GEP trials, field trialists in arable crops, fruit trees, vegetable crops and non-cultivated areas, risk assessor at Anses (French Authorities). Regulatory advice, drafting dossiers, risk assessments refinement, computing, management, entrepreneurship. Working out regulatory strategies, proposing short and long-term solutions, auditing available data, identifying the data to generate, optimising the GAP table, project management, monitoring laboratory studies and field trials, carrying out standard or tailor-made risk assessments, compiling data. Regulatory Affairs Managers, consultants, project managers, experts, administrators, and more: the Lynxee consulting team performs all Regulatory Services roles. "To advise our clients properly, we are committed to helping them meet regulatory requirements, which are constantly evolving." 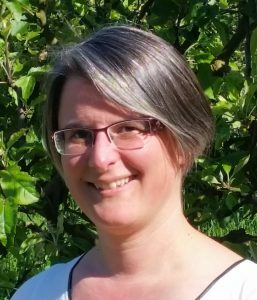 An agricultural engineer specialised in the protection of plants and the environment, Karine Mavet has worked for 16 years in the regulatory field. She started working for a large agrochemical company then was in charge of residue trials for a CRO. 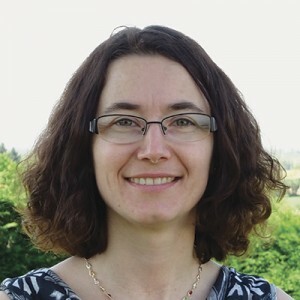 After a collective pest control coordination assignment in the Rhône-Alpes regional plant protection department (DRAF / Ministry of Agriculture), she went into regulatory consulting. As project leader for 10 years she advised French and foreign clients, drafted substance and preparation dossiers, monitored studies, conducted risk assessments and liaised with the competent Authorities. Armed with her experience and spurred on by an entrepreneurial desire, she went into partnership and founded Lynxee consulting in 2015. "With our experience of dossiers, we propose optimised strategies for our clients in terms of deadline and costs." An agricultural engineer, Emilie Vianay has worked for 13 years in the regulatory field. She started her career as an experimental field trialist in vegetable crops and then joined a CRO as Study Director for residue and efficacy trials programmes in Europe. She then specialised in drafting Biological Assessment Dossiers with a French regulatory affairs consultant. Trained in risk assessment and seasoned in project management, she took charge of the "plant protection products" team, where she managed ten or so scientific experts and project managers on behalf of French and foreign clients. Attracted by the entrepreneurial world and armed with 11 years’ experience in regulatory affairs, she went into partnership and founded Lynxee consulting in 2015. "Selecting and compiling field data, analysing them to defend your product at best, here is my everyday mantra." 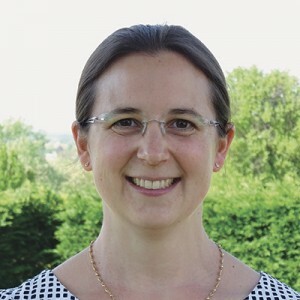 With a Degree in Biology and Agronomy, Florence Dupeuble began her career as a research field trialist at INRA (French Institute for Agronomic Research) in arable crops and then as a field trialist testing PPPs in different organisations and agrochemical companies. She then worked as a project manager of GEP trials. She coordinated field trialists, processed ARM data and prepared trial reports, in collaboration with the clients. Florence was finally trained in the drafting of biological assessment dossiers (BAD). After 16 years of varied and complementary experiences, she joined Lynxee consulting company in 2017 where she is involved, among others, in the drafting of BAD, comparative assessment, labels and in field trials project management. "If you have risk assessments in ecotoxicology to perform, including refinements or cumulative assessments, do not hesitate to give them to me!" Adrien Margerit, PhD in Ecotoxicology, had various experiences of research in ecotoxicology laboratories and then conducted a PhD at IRSN (French Institute of Radioprotection and Nuclear Safety) on the combined effects of uranium and cadmium in the nematode Caenorhabditis elegans using empirical and mechanistic modelling tools. He then worked as scientific assessor in ecotoxicology in the Ecotoxicology and Environmental Fate Unit of ANSES (French Agency for food, environmental and occupational health and safety) where he dealt with both plant protection active substance and product dossiers. 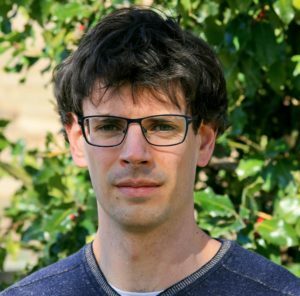 With 6 years of experience in the field of ecotoxicology, Adrien joined Lynxee consulting, where he is in charge of, among other things, study monitoring and risk assessments in ecotoxicology.